Collaborative Internet projects are a wonderful way to integrate technology in curriculum areas. There are so many wonderful projects to join that it's difficult to choose. I am having a wonderful time helping teachers in Comsewogue find projects for their classes. The results of some of their projects will be showcased here. We are very proud to be the hosts of Online Autumn and Bunny Readers. Below is a list of projects that my class will be participating in and projects that other classes in Comsewogue have joined and will be participating in. The Lighthouse project invites students of all ages to visit interesting lighthouse web sites, add website links, and to submit written or other works to be posted on the site. In its first year it has linked two schools and several classes and will soon add interactive elements for teachers and students. Nicole Taormina, librarian at Boyle Road Elementary School will be working on this project. Daniel Costello's students at JFK Middle School will also be working on this project. This is a travel buddy project coordinated by Cheryl Blummenbaum. Cheryl is a third grade teacher at the Narragansett Elementary School in Rhode Island. The results of this project will appear on a web site later on in the school year. storybook, journal, activities, and information about his 100 Acre Wood's home in Santee, CA. Being a bear of little brains Pooh needs to learn more about the world and he has promised to share this information with his second grade friends in southern CA. Mrs. Link's second grade class at Boyle Road Elementary School will be hosting Winnie the Pooh. The primary goal of the unit is to increase reading of the Caldecott Award winning books by students in the primary grades. Each class will submit clues about 3 stories for other schools to solve via e-mail. that respond with the correct book will be posted the following week. Fourth grade students at Mountain View School in Flanders, NJ are measuring pulse rates. Students will measure their pulse rates. All participating classes will receive the collected data to analyze and graph conclusions. The first 10 classes to return their results will receive a stopwatch. All teacher participants will receive activities to teach about the circulatory system. In addition, all classes will receive copies of all the data we receive to analyze. Mr. O'Donnell's fifth grade classs at Boyle Road Elementary School will be working on this project. They are stuffed dogs who want to travel to schools where they will be cuddled and cared for. Hosts will discuss pet care and select some good pet care tips to share. The hosting class will e-mail their adventures during the week along with their pet care tips. The main activity requires children to draw their sandwiches and do a very short write-up ( 50 words) on the ingredients used or interesting information about their sandwiches. The children use digital cameras to take pictures of their drawings and/or student prepared sandwiches and exchange these with participating classes. Finally the children will collate the pictures and write-up and compile them into a scrap book. Mrs. Leo's class from Norwood Elementary participated in this project. Click here to see the letter she wrote to her parents about this project. Charlie, a book about our school, and a disposable camera will be sent to fifth grade classrooms around the U.S. interested in tracking his adventures. Participants would be responsible for taking pictures of their school and community to share with Navarro Students. The booklet that will accompany Charlie will tell the Navarro Elementary story. Participants are responsible for mailing Charlie to the next school and the camera to Bryan. I will then make copies of the film for your school and mail them to you. We can track his adventures using technology together. Bobby Beaver will visit your classroom for two weeks. Each class will send a postcard to the host class to let us know Bobby has arrived. Bobby will bring with him a journal to tell participating classrooms about his travels. Activities for participating classes will be included as well as some activities to be sent to our class to help us learn about the communities he visits. We would like each class to include at least one item representing their area of the world. We would like each class to send photos or drawings either by scanner/digital camera or snail mail so that we can post them on the class web page. Mrs. Singer's class from Terryville Elementary will be hosting Bobby Beaver. The Class Pet Exchange program will enable students in grades K-5 to connect with another class and share their experiences via email, the web, and journaling. Classes will exchange class pets (a stuffed animal) and its journal by snail mail. When the class pet arrives at your school students in turn take it home with them. Upon their return to school, students will write, or dictate to you, a story about their adventures with the class pet. These adventures will be kept in the pet's journal. Creativity is encouraged! The pet will reside with your class until all have had an opportunity to take it home. A new collaborative writing project for kids everywhere, created by writer and illustrator Mark Burgess for Kids on the Net. Visit the Motel and see our monsters, sign our guestbook and tell us about YOUR monster. Can be used as a class project or by individual kids at home or at school. Submit writing via web form or email (can include scanned pictures). Use in class to discuss adjectives, write poetry or learn descriptive writing. First Grade, First Grade, What Do You See? First grade students will contribute to an online book adapted from the children's book Brown Bear, Brown Bear, What Do You See?, written by Bill Martin, Jr., and illustrated by Eric Carle. To test the popular myth (?) that eggs balance better on the Equinox than other days of the year. Using the scientific method, we will conduct an experiment to conclusively determine if there is any truth to this idea. Mr. Eaton's fifth grade class from Clinton Avenue Elementary School will be participating in this project. To use the Internet to find and share important and interesting information about what was going on in the world The Day You Were Born. Several Comsewgoue classes are participating in this wonderful research project. Second and third grade students will become toy inventors, by designing toys for the year 2000. Each participating class will write descriptions and draw illustrations of their toy inventions. They will select one description and corresponding illustration to be posted on a website. Mrs. Gardners' class participated in this project. They have a lovely book of their inventions in their classroom at Norwood Elementary School. We want to know about you, your school and area. Chuck will be traveling with a scrapbook and a camera. We will be using e-mail to exchange letters with host schools, these letters will be forwarded to other participating classes. The only cost of participating in this program is the postage to send Chuck on to his next school and return the camera to us for developing. Students from around the world participate in the "I Lost My Tooth". The project covers, creative writing, graphing, art, social studies. The teachers email how many teeth the students have lost so far this school year. The information is posted in the schoolhouse. The students then will email at the end of each month the tooth lost for that particular month. Mrs. Shaw's first grade class from Boyle Road Elementary School will be participating in this project. Children will be introduced to books by Nancy Carlson. Stuffed animals representing eight of her story characters will be mailed to the participating schools. These characters, with the help of the teacher and students, will e-mail each of the participating schools about their town, school, and activities. Each participating classroom will also be asked to do some creative writing about their character and share their stories. Miss Moskowitz's first graders in Clinton Avenue Elementary School will be hosting Looney the Lobster in early May, 2000. 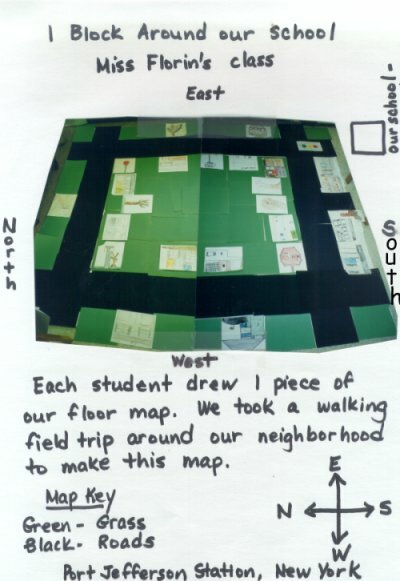 This travel buddy project is coordinated by Marjorie Duby from Joseph Lee Elementary School in Boston, MA. Miss Moskowitz asked to have Looney visit in May since her class will be studying the ocean at that time. Looney has a wonderful history and you can read about it at the web site. Participating students will conduct surveys about their class' preferences and prepare maps of their school neighborhood. The project site will compile data from the surveys into graphs and compare the submitted maps. The survey results and written conclusions will be exchanged with participating schools using Email. Each participant will have the opportunity to learn what makes urban, rural, and suburban communities unique. This project is aimed at students k-6. Students will navigate the web for a purpose. They will search for information while collecting hidden eggs. The eggs are hidden by schools. Many classes in Comsewogue are participating in this online treasure hunt. Thousands of people are born each day, but which month has the most births? A group of fifth grade mathematics students from the Erving Elementary School in Erving, Massachusetts are determined to find out! Take a quick look at the birthday data from our school and then help us find which month has the most births! This project is coordinated by Franklin Fellow Michael Lipinski and is part of a resource developed by the Franklin Fellows. Donna Gardner's second graders at Norwood Avenue collected data for this exciting project! Second and third grade students will become toy "inventors" by designing toys for the year 2000. Each participating class will write a description of their toy invention. Their work will be posted on a class page on our web site. Classes are encouraged to read the toy descriptions submitted by other schools and to send e-mail messages that include positive comments and any additional ideas they may have for a particular toy. Donna Gardner's second graders at Norwood Avenue invented toys that are showcased on this page. Mrs. Lubin's first graders joined 50 other classes throughout the United States and Canada in their weather research. They are collecting data to test the proverb "In like a lion, out like a lamb." developed to showcase the schools involved. Several classes from Comsewogue, including my second grade class are participating in this project. Mrs. Fiske from Clinton Ave. and Mrs. Lubin from Boyle Road will be hosting Jasper. Jasper's home is in Missouri and the children in Ron Campbell's class are sending him to classes throughout the country to learn about different communities. Project participants will be getting a poster showing Jasper's travels at the end of the project. Student work in groups to design egg crates using a specified list of materials. Eggs are then "tossed" to other classrooms across the country by "snail mail." Receiving classes notify senders when the egg arrives, reporting the condition of the egg and also the egg crate. They will send their reports by e-mail. The project coordinator is Lori Presti. Mrs. Fiske's first grade class joined this project. Our purpose is to have reliable addresses to send our Flat Stanleys with an assurance they will return with lots of journal writings and pictures and fun experiences. The teacher will read a specified fairy tale to the students. As a result of this story, the students will compose a class "Cyber dictionary" using each letter of the alphabet and relating it to an object in the story e.g. "W" is for wolf. Students will create a picture that will be saved as .gif file. Odessa is a California Sea Otter who is traveling to classrooms who are willing to share Oldessa's adventures by using E-Mail and visiting her website. Students in this project get a chance to learn about other schools, animals and places via the Internet. We had a wonderful time hosting Odessa. Hugging Hands International is a non-profit organization started in January 1999 and is run entirely by volunteers. Two of our objectives are to promote international understanding among children and to generate funds to help needy children worldwide. To help achieve these objectives, the Hugging Hands website provides a free, online gallery where children around the world can display their artwork. Then, as we grow, we believe we can attract traffic by making the site interesting for both adults and children. As we attract traffic, we can generate funds from both individual and corporate sponsorships. These funds will be donated to established children's charities around the world. We chose other children's organizations to sponsor by researching each charity and choosing the ones which use their donations to most directly help children. Hugging Hands currently sponsors twenty five children through Childreach, Save the Children and Children International.